Image Effect: Supports zoom & pan for pixel & vector data! It's a conceptual combination of ShiftZoom and Mapper. Requires no plugin/extension or any other external resource! New since 1.4: Fixed wheel behavior in conjunction with the argument "nozoom"
Image Effect: Supports zoom & pan functionality! The library allows you to add/remove zoom and pan functionality to oversized images on your webpages. Requires no plugin/extension or any other external resource! New since 3.9: Fixed wheel behavior in conjunction with the argument "nozoom"
Image Effect: Supports jigsaw puzzle functionality! 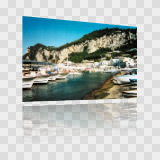 The script allows you to add jigsaw puzzles with individual options to images on your webpages. Requires no plugin/extension or any other external resource! Image Effect: Simulates an authentic looking album or book presenting photos, images and pictures of all sizes and with any aspect ratio. Includes covering, navigation, information, linking and auto generated visual table of contents. Requires no plugin/extension or any other external resource! 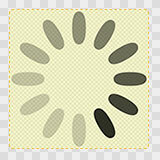 Image Effect: Simulates the CSS 3 beautifying features border-radius, box-shadow and background-gradient on your webpages. Requires no plugin/extension or any other external resource! 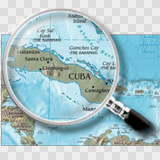 Image Effect: Simulates an authentic looking magnifying glass! 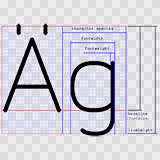 The script allows you to add a loupe for magnifying (inc. start viewpoint) to an image on your webpage. Requires no plugin/extension but one external resource image! Image Effect: Supports native spinner animations! The library allows you to add/remove loading indicators to the viewport and to block-level elements on your webpages. Requires no plugin/extension or any other external resource! 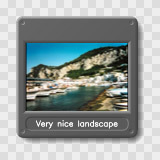 Image Effect: Emulates native area highlighting! 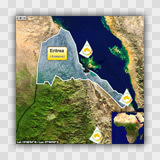 The script allows you to add automatic area highlighting to image maps on your webpages (inc. export to SVG). Requires no plugin/extension or any other external resource! 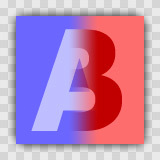 Image Effect: Simulates a glossy shaded and beveled button look! The script allows you to add individual corners, shadings and shadows to images on your webpages. Requires no plugin/extension or any other external resource! Image Effect: Simulates a slide frame look including gradients! 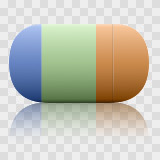 The script allows you to add individual colors, shadings and shadows to images on your webpages. Requires no plugin/extension or any other external resource! Image Effect: Simulates a whole bunch of image effects! The script allows you to add individual corners, shadings and shadows to images on your webpages. Requires no plugin/extension or any other external resource! Image Effect: Supports programmable image transitions! Features 113 transitions, 32 tweenings, individual corners, overlay graphics and event actions. Requires no plugin/extension or any other external resource! Image Effect: Supports programmable gauges! The script allows you to add gauges (with shading and reflection) to your webpages. Requires no plugin/extension or any other external resource! 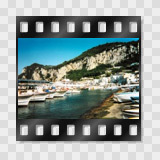 Image Effect: Simulates a film strip look including reflection! The script allows you to add individual colors, shining and shadows to images on your webpages. Requires no plugin/extension or any other external resource! 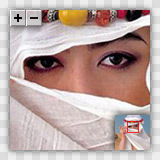 Image Effect: Simulates masked image edges! The script allows you to add individual masks (inc. inbuilt mask) to images on your webpages. Requires no plugin/extension but zero or more external mask images! Image Effect: Simulates a spherical image effect! The script allows you to add an spherical picture effect with individual zooming, shading, shining, transparency and colors to images on your webpages. Requires no plugin/extension or any other external resource! 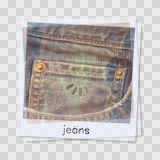 Image Effect: Simulates a whole bunch of image effects! 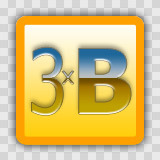 The script allows you to add bevels with individual glowing, shading and shining to images on your webpages. Requires no plugin/extension or any other external resource! Image Effect: Simulates a page curl image effect! The script allows you to add curls with individual paperback color, shadow opacity and size to images on your webpages. Requires no plugin/extension or any other external resource! Image Effect: Simulates an instant picture look including tilt! 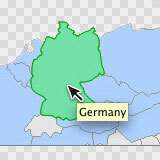 The script allows you to add individual colors, tiltings and shadows to images on your webpages. Requires no plugin/extension or any other external resource! Image Effect: Simulates a Cover Flow™ image effect! 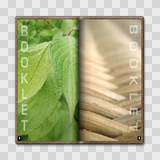 The script allows you to add individual borders, tiltings and reflections to images on your webpages. Requires no plugin/extension or any other external resource! *Cover Flow is a trademark of Apple Inc. Description: This Support Lib is customizable and extendable and provides multiple master single line stroke text capability for some CVI effect libs [part of distribution]. Includes a (built in) sans-serif font with complete ISO-8859-1 charset. Requires no plugin/extension or any other external resource! Description: This Support Lib provides image filter capabilities (e.g. gamma, brightness, contrast, blur, sharpen, invert, threshold, grayscale, convolve...) for the available CVI effect libs [part of distribution]! Convolution kernels are customizable and extendable. Requires no plugin/extension or any other external resource! 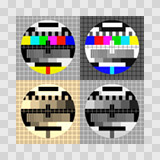 New since 2.0: Added the miniature faking filter "titltshift"
Description: This Support Lib was made in order to realize soft fading image stacks for the available CVI effect libs [part of distribution]! Requires no plugin/extension or any other external resource! Description: This WYSIWYG application was made in order to get a fast impression of the available CVI effects (inc. Filter) and their illustration qualities! Requires no plugin/extension or any other external resource! Play around and have fun. Description: The CVI Developer Scripts are distributed under the GPL, LGPL and AGPL open source licenses. This triple copyleft licensing model should avoid incompatibilities with other open source licenses. For many companies and products, Open Source licenses are not an option. For these situations and for companies using the CVI Developer Scripts in commercial applications we offer the Netzgestade Closed Distribution License. It is a non-copyleft license which gives companies complete freedom when integrating the CVI Developer Scripts in their products and web sites. Description: The CVI Chronology shows a chronology of all CVI program releases. The beauty of the style sheet features is depending on the used browser engine (best viewed with webkit because of widely used transition attribute). All scripts are distributed under the Netzgestade Non-commercial Software License Agreement [TXT| HTML| PDF]. License permits free of charge use on non-commercial and private web sites only under special conditions (as described in the license). This license equals neither "open source" nor "public domain". There are also Commercial Software Licenses available. YOU AGREE TO ALL CONDITIONS OF THIS LICENCE AGREEMENT CONCERNING THE USE OF THE SOFTWARE BY ACCEPTING THIS LICENCE. IF YOU DO NOT AGREE TO ALL CONDITIONS OF THIS AGREEMENT, YOU SHALL NOT INSTALL THE SOFTWARE, OR USE IT IN OTHER WAYS. 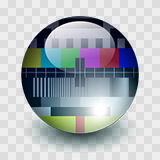 All scripts are distributed under the Netzgestade Software License Agreement. License permits free of charge use on non-commercial and private web sites only under special conditions (as described in the license). There are also Commercial Software Licenses at cvi@netzgesta.de available.